By offering quality clothes for babies and practical solutions we wish to be a support for forming a young loving family. If twins are born in a family, you can buy only one baby package, because Hipobaby gives another baby package as a present. If birth of triplets or even quadruplets is expected in your family, please let us know about it in good time, because all babies born in such a family get a baby package as a present from Hipobaby. Hipobaby is an Estonian company and all our products are made taking into account Estonian weather conditions. 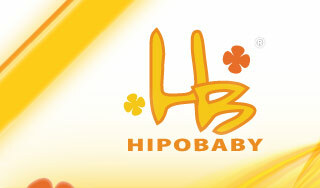 The team of Hipobaby follows the principle that all products for babies should be of good quality and child friendly. Clothes for children are made of convenient and wearer friendly cotton fabric. Hipobaby baby package is specially developed set of products for a newborn child with the aim to diminish the parents' legwork and offer suitable present to everyone considering it important to give something necessary for a newly born child. 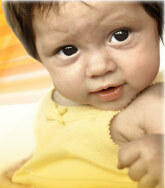 Hipobaby baby package offers you a complete solution, saving your valuable time and money at the same time. The baby package is intended for use since the first day of a baby and eliminates the need for looking for different items from different stores. 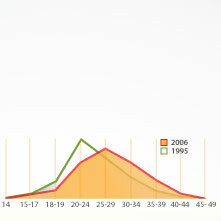 In the graph below it is shown that the average age of women giving birth for the first time has increased in the course of time. or funny story about children, please send it to us! 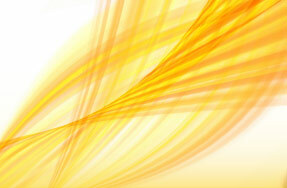 If your story finds a place in our blog, we make you a decent present.